First, stocks are, fundamentally, building blocks. You can turn them into a multitude of different things, and your plans for them can change at any moment. Putting salt in while making a stock means you’re committed to that salt later. Second, part of stock making is concentration of flavors. What seems like a good amount of salt now will be significantly stronger by the time you’re done. Salt your veal demi-glace when it’s in the stock stage, and you’ll be very sorry later. I wouldn’t worry about this when making veggie stock, but if its got meat or fish in it, you need to skim it. During the simmering process fat and impurities will float to the surface and gather in a foamy scum. Have a spoon or a ladle handy and get that stuff out of there before it can cause any trouble. Does that mean you need to stand in front of your chicken stock all night to make sure it doesn’t cloud? No. It’s most important at the beginning. Skimming carefully and often near the start should catch most of the offending material. Allowing the water to boil will dissolve the impurities you’re supposed to be skimming back into the stock, muddying its clarity and flavor. Not only that, but the energetic movement of the water will actually break minute pieces of your ingredients off and cast them adrift, further clouding things. What you’re looking for is a constant simmer, don’t let that temperature reach 212. Of course, stock is a creation of frugality, the idea is to extract every last bit of flavor out of all the ingredients that come into your kitchen. With that in mind, you’re totally within your rights to use floppy carrots or celery, or even sprouted onions. That said, using fresh vegetables will give you a better result every time, so keep that in mind. Also try to filter your water if it has noticeably high chlorine levels. Pour the contents of your stock pot through the finest strainer or sieve you can to get out any impurities and chunks your skimming may have missed. If you’re concerned your strainer isn’t fine enough, line it with cheesecloth. “Dropping” stock doesn’t mean making a big mess on the floor. Rather, it is the culinary industry’s term for cooling your stock down as quickly as possible prior to putting it in the fridge or freezer. The easiest way to do this in a home kitchen with a large stock pot is to put the pot in your sink and fill the space around it with as much ice and ice water as you have. 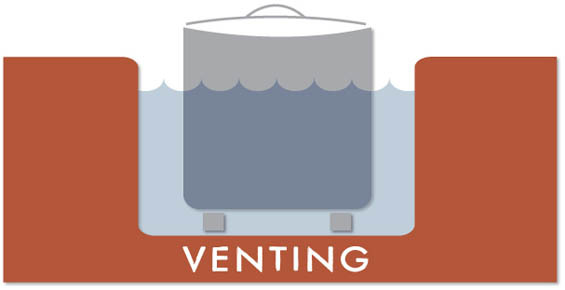 Putting your stock pot up on something that raises it above the bottom of the sink so water can get under it (“venting”) makes this even more effective. The reason for going to this trouble? Sanitation. Stock is a potential bacterial playground, and you need it to get it cooler than 41 degrees F as quickly as possible to protect against bacterial growth. Dumping it in your fridge or freezer right off the stove will not only work too slowly, but it will also raise your refrigerator’s internal temperature enough to put other foods at risk. CAN YOU BREAK THESE RULES? Certainly. Most of them anyway. If you’re not planning on making consommé or clear soups, and feel that your time and money is better served by making a decent stock easily, you can ignore rules two and three. You can even stop skimming after the initial bone blanch and pick the big pieces out of the pot rather than straining. It won’t be the best stock in the world, but it’ll be acceptable. Just don’t break rules 1 and 6. Dropping stock! Bone blanch ! Now bone blanch sounds scary, reminds me of a CSI story. LOL. But seriously, what is bone blanch? Excellent article. Almost all of this I didn’t know. I’ve put pots in the sink to cool and didn’t know if it was really safe to do that or not. Now I know. Thank you for all this information. This is great. This year I have learned to use chicken stock in many dishes, and at times have relied on boullion cubes. Homemade would suit me better. Apologies for throwing “bone blanch” out there without explaining it in this entry. 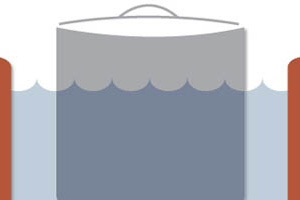 It’s gone over in more depth in the upcoming stock technique posts, but basically before using bones in stock you need to simmer them (blanch them) in water to clean them off so whatever’s still sticking to them doesn’t get in your stock. Bouillon cubes are certainly convenient, particularly because they last so long…but if you look at the ingredients list I think you’ll see that they contain a huge amount of salt and preservatives that all end up in your soup. Homemade is the way to go if you have the time. Great post, I’ve been planning on making more stock and this is just what I need since my last batch was, shall we say, less than successful!! I wanted to also let you know that my post today includes some links to your chipotles! http://chefbliss.blogspot.com/2009/04/fabulous-tex-mex-winners.html Thanks again, I’m enjoying them!! Great tips and just the right amount of detail. Thanks for the info!